Funny thing about this blog (other that the oh so witty title) is I created it ages ago…and never updated it. Then Ashley’s down to do a crafty blog together. Since she’s updated it, I still have yet to update. This is partially to do with the fact that I am newly engaged, visiting and planning a Portland move, and slightly..lazy. ha. I am awful with following patterns, so I made these both up as I went along, making it possible that the owls are not exactly the same 😉 But I thought they came out pretty good. The yarn is some kind of amazing wool worsted (almost chunky) loveliness I picked up at my LYS Scarlet Skein. 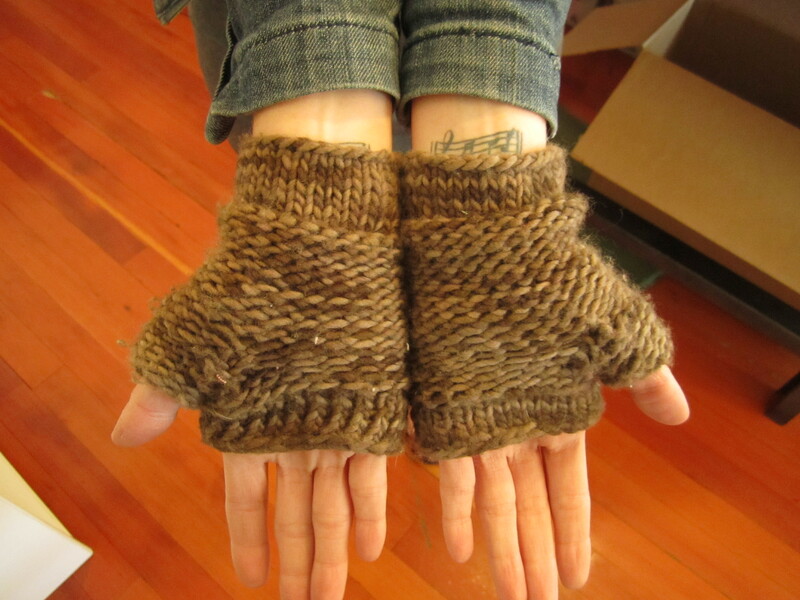 I actually picked it up especially for these mitts. 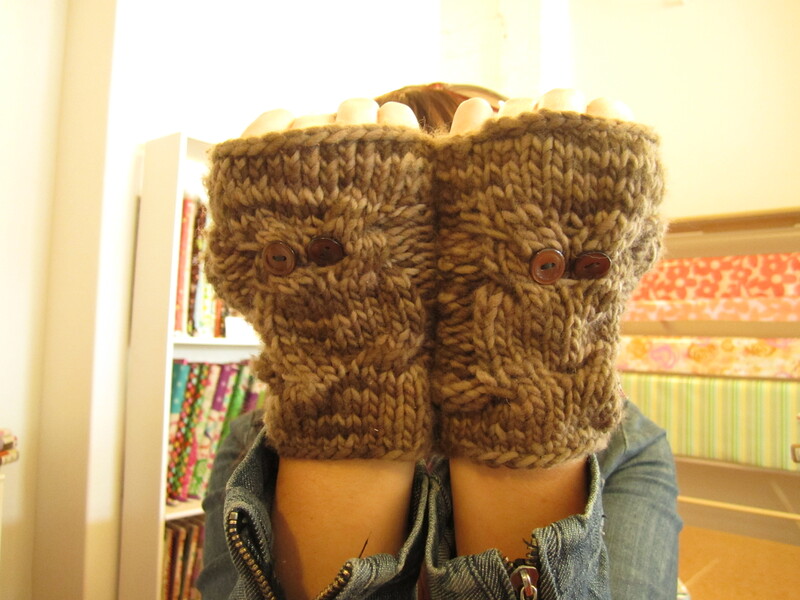 I will be planning to post these only to my etsy shop, once I get a few pairs down. Along with some flowers, and other little accessories. Keep your eye out for it! 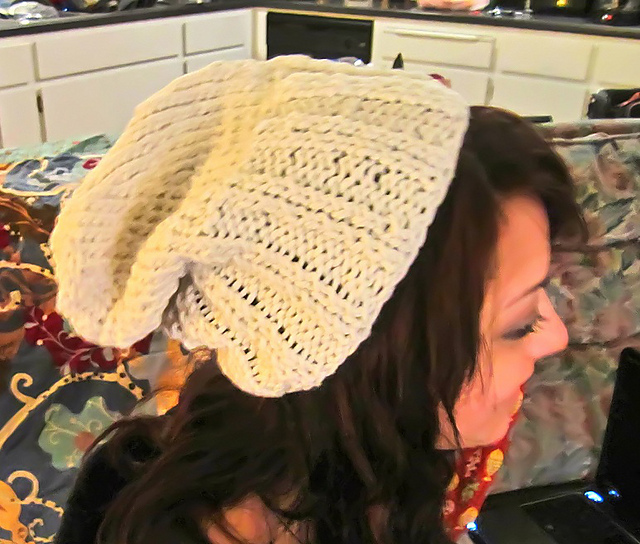 I also will be re-listing numerous knitting beanies I’ve hidden in my room.